Recently CFYM sat down with DBSA Texas Grassroots Organization (“GO”) Chair Kimberly Allen to discuss the Affordable Care Act. Ms. Allen is a former insurance broker who has advised individuals living with a mental health condition and their families on matters pertaining to health insurance. In this informative interview, Ms. Allen shares tips on how to find the ACA policy that best fits your circumstances. Additionally, we’d like your feedback on High Deductible Insurance Plans. Care for Your Mind: It’s been three years now since the implementation of the Affordable Care Act (ACA). What effect has it had on individuals living with a mental health condition and their families? Kimberly Allen: People now have a lot more access to mental health services. For starters, no one can be denied insurance coverage based on preexisting conditions and plans cannot charge more based on medical history or current health care needs. Additionally, mental health care and substance use treatment are included as “essential health benefits” by all ACA plans. Benefits include mental health treatment such as psychotherapy and counseling, inpatient, and partial hospitalization services as well as some preventive services. Another improvement is that these plans must adhere to existing mental health parity laws, intended to equalize the treatment of addiction and mental health conditions when compared to medical/surgical (med/surg) benefits offered by the plan. For example, if the health plan approves 10 visits for outpatient physical therapy, it must approve the same number of visits for outpatient mental health care. Parity also requires that copays, deductibles, and annual and lifetime caps on mental health benefits be the same as those for med/surg benefits. CFYM: People who have been frozen out of the insurance system due to high costs of premiums have had to get up to speed quickly on understanding health insurance plans. What are the most important things people need to know when comparing plans? KA: Understanding how your plan’s benefits are designed will help make sure your health care needs are met, as well as help you understand your total out-of-pocket cost. Consider more than just the cost of the monthly premium: factor in the costs of the annual deductible, copays, coinsurance, and prescription drug coverage, too. Depending on your health needs and the prescription medications you take, the amount you pay out-of-pocket each year can vary significantly. The plan with the least expensive premiums may not end up providing the lowest out-of-pocket expenses. CFYM: Good point. Why is that? KA: Deductibles, coinsurance, and copays are all examples of “cost sharing.” Cost sharing means that both you and your health insurance company pay part of your medical expense. The deductible is the amount you must pay for services before your plan begins to pay. If your deductible is $1,000, your plan might not pay anything toward your claimed healthcare expenses until you’ve paid $1,000 for covered health services. After that, you share the cost with your plan by paying coinsurance, copays, or both. Coinsurance is calculated as a percent (for example, 20%) of the allowed amount for the service. For example, if you have already met your $1,000 deductible and have a 20% coinsurance, your plan would cover 80% of the expenses that follow and you would pay 20%. So if the allowed amount for an office visit is $100, your 20% coinsurance payment would be $20. A copay is a fixed amount that you pay for a health care service. The amount can vary by the type of the service. A doctor’s office visit might have a copay of $30, while the copay for an emergency room visit may be $250. These amounts vary by plan. It is also important to consider the plan’s in-network facilities, providers, and suppliers. These are ones that your plan has contracted with to provide services. Generally you will receive the most affordable care from the in-network options, as the plan charges less out-of-pocket expense to you there than for services received at out-of-network providers. When using out-of-network providers, don’t assume that those costs will apply to your annual deductible: some do apply and some do not. For example, you could pay for the full cost of certain psychiatric services out of your own pocket because your doctor is out-of-network. You may find that none of that out-of-network expense has been applied toward your annual deductible. CFYM: What about prescriptions? How are they covered? KA: Covered medications are called the plan’s formulary. Formularies often cover medication on different tiers and each tier has an associated cost-sharing amount. Lower tiers usually have smaller out-of-pocket costs than higher tiers. A typical four-tier formulary may have generic medications on Tier 1; preferred brand names on Tier 2; non-preferred brand therapies on Tier 3; and specialty medications on Tier 4. The plan may state that the cost to you for an up to 30-day supply of generic medication is $10, $40 for a Tier 1 medication, and $100 for a Tier 2 medication. Coinsurance could end of costing you more than a copay. A copay of $10 for a drug that costs $100 is a lot less expensive than a coinsurance of 20%, which would cost $20 for that same drug. Additionally, some plans won’t cover prescriptions until your deductible is met. Often, it is difficult to get access to the insurance plan’s drug formulary prior to enrolling. You may not know the true cost difference between one insurance company’s prescription drug coverage and another’s until you have enrolled in the plan. CFYM: Wow! That’s a lot of information for someone to digest. Is there any assistance to help people make sure they are getting the most cost-effective plan to fit their unique set of circumstances? KA: All plans provide a Summary of Benefits and Coverage (SBC) so you can make comparisons of costs and coverage between health plans. You may also consider using a Navigator or an agent. A “Navigator” is a person or organization that is trained and able to help you look for health coverage options through the Marketplace. Their services are free to individuals. There are also agents and brokers who can help you apply for coverage. CFYM: Thanks, Kimberly. This information is very valuable. Do you have any last pieces of advice? What advice would you give to someone looking for health insurance? What factors are especially important to you when you decide on your health insurance plan? What has been your experience in choosing a health insurance plan? 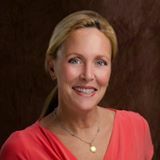 Kimberly Allen has worked in addiction treatment and health and human services for over 20 years. Her administrative areas of specialty includes health claims advocacy, resulting in increased claims reimbursement. She is a Licensed Chemical Dependency Counselor and is certified as a peer in addiction recovery, as well as certified as a mental health peer. She holds a Master of Science in Family Studies and is trained in Basic Mediation, Mental Health First Aid and Wellness Recovery Action Plan basic certification. Kimberly is a licensed insurance agent and is Chair for the Depression and Bipolar Support Alliance Texas Grassroots Organization. Thank you for an easy-to-understand summary of how to evaluate insurance plans. I will forward this information to others who are looking at insurance programs.